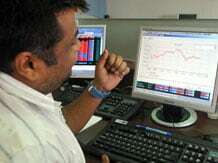 Sensex ended up 190 points at 25,519 and Nifty climbed 57 points to end at 7,626. Markets snapped three day losing streak, amid firm global cues, led by auto shares post upbeat first quarter earnings and encouraging sales growth in July. The 30-share Sensex ended up 190 points at 25,519 and the 50-share Nifty climbed 57 points to end at 7,626. The Indian rupee was trading marginally lower at Rs 60.17 compared to the previous close of Rs 60.14. Gains in stock markets helped improve sentiment for the Indian currency. Asian market gained after easing of tensions between Ukraine and Russia while the internal conflict in Iraq continued to weigh on investor sentiment capping upside gains. The Nikkei ended up 2.3% at 15,130.52 while the Shanghai Composite and Hang Seng were up over 1% each while Singapore's Straits Times was up 0.5%. European shares firmed up in early trades today as easing tensions in Ukraine helped improve investor sentiment. The CAC-40, DAX and FTSE-100 were up 0.5-1% each. The BSE Auto index was the top sectoral gainer up 2.3% followed by Realty and Capital Goods indices among others. However, FMCG and Power indices lost sheen down 0.4%. Auto shares firmed up post robust earnings during the June quarter and encouraging sales growth during July. Maruti Suzuki surged 1.7%, Tata Motors climbed over 3% ahead of its June quarter earnings later today. Mahindra and Mahindra (M&M) ended over 6% to Rs 1,314 on expectation of agri machinery sector would get strong booster over next 2-3 years as better prospects of agriculture sector supported by number of government aids and more focus on rural economy by new government. Among the index heavyweights, Infosys gained 2.6% and HDFC surged nearly 3.6%. L&T, Hindalco and Sesa Sterlite were among the other Sensex gainers up over 1%. Bank shares ended the session in the positive territory following RBI's neutral stance on key rates. ICICI Bank, Axis Bank, SBI gained between 0.1-1.4% each. Oil and Gas major and Index heavyweight RIL ended marginally in green. However, its peer GAIL ended lower by 4%. On the flip side, IT majors TCS and Wipro ended down between 0.3-0.8%. Dr Reddy’s lab, NTPC, HUL and Tata Power were some of the notable stocks in red and lost between 0.5-2.5%. Among other shares, Atlanta has zoomed 20% to Rs 74 on National Stock Exchange (NSE), after reporting a five-fold jump in net profit at Rs 19 crore for the first quarter ended June 2014 (Q1), on back of strong operational income. The construction and engineering company had profit of Rs 3.85 crore in the same quarter last fiscal. Shares of real estate companies end higher on the bourses after the Securities and Exchange Board of India (Sebi) approved the setting up and listing of Real Estate and Infrastructure Investment Trusts, commonly referred to as REITs. DLF, Indiabulls Real Estate, Unitech, Oberoi Realty, Housing Development and Infrastructure (HDIL), Phoenix and Prestige Estates rallied between 2-5% each. Adani Enterprises rallied 5% to Rs 475 on National Stock Exchange (NSE) after reporting a consolidated net profit at Rs 557 crore for the quarter ended June 30, 2014 (Q1FY15), on back of higher sales volume in power business. The company had a net loss of Rs 278 crore in the same quarter previous fiscal. In the broader market, the BSE Mid-cap index gained 0.5% and Small-cap index climbed 0.7%. Market breadth ended strong with 1,718 gainers and 1,216 losers on the BSE.